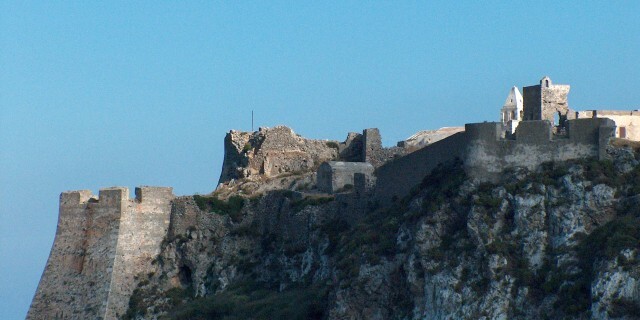 The Venetian castle or “Fortezza”, a fortress from the 13th century, stands imposingly over the capital Chora. Being between the Aegean, Ionian and Cretan Sea, was given also the name “Eye of Crete” because from there watched the movements of ships. Passing the newly renovated houses next to the entrance of the castle and climbing the brick alley, come across the “fossa”, the tunnel of the castle. On your left you will see the prisons and on your right the tanks of the old aqueduct. In the last decade the preservation of the castle has been completed. The view from the Castle to Kapsali is breathtaking.